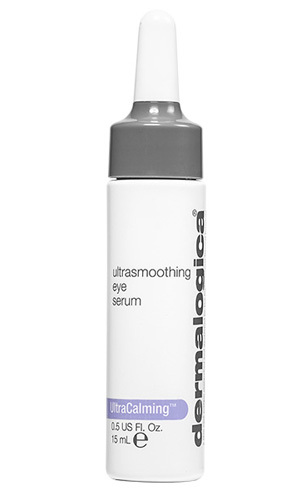 This eyetreatment fluid contains an advanced peptide known to encourage collagen-producing activities to help smooth fine lines and target the signs of aging around the delicate eye area. A fortifying blend of Brown and Red Algae and Golden Chamomile helps minimize puffiness, as Oat Kernel Extract helps soothe fragile skin. Cross-linked Hyaluronic Acid helps to optimize hydration as our exclusive UltraCalming Complex helps minimize sensitivity.